I’ve been running for just about a year and a half now, I started from scratch with a couch to 5K program with the aim of running a 10k in the summer of 2014 and a final goal of completing my first half marathon at Disney. In July 2014 I ran a 10k race and finished in 1hr13mins48secs which I used as my proof of time for W&D 2014 with an estimated finish time of 2hrs40mins. From then on I continued running regularly and by October 2014 I ran a training 10k in 1hr04mins10secs. We flew to Orlando on 24th October and had a fantastic holiday and ran not only our first ever RunDisney event but our first ever half marathon and the longest distance I’ve ever run. 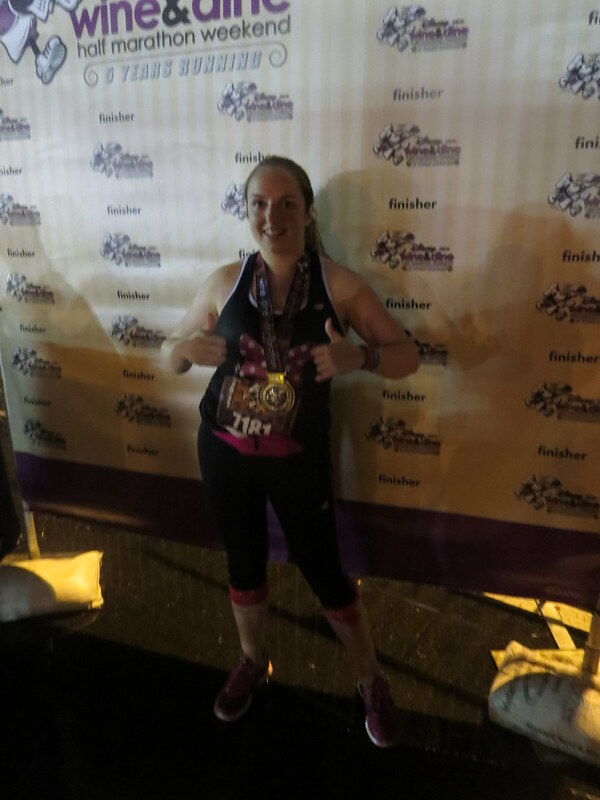 I continued running when I returned home although not following any training plan, it wasn’t long before I was thinking about returning to Disney and after a discussion with Rachel we both decided that Dopey 2016 was going to be our next big goal. It wasn’t long before Dad was looking to join in on the action too and now it’s become a proper family affair! 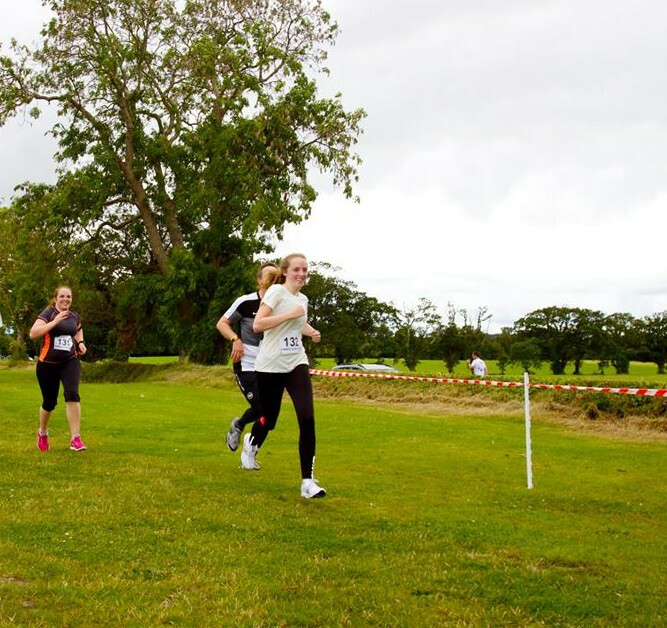 The Cancer Support Centre in my hometown Balbriggan in Dublin, Ireland was holding a charity 10k event on St. Patricks Day 2015 so I decided this would be the perfect way to kick start my training RECAP HERE. Unfortunately Rachel wasn’t able to run as she was on holidays stateside in Vegas (lucky thing!) but my Dad ran it with me and my Mam and aunt also entered the walking section. I put together a training schedule that combines Hal Higdon’s Novice Supreme Marathon training plan & Dopey Training Plan with some alterations to account for a 10mile run and a half marathon both to be considered for our proof of time for Disney. I’ve also made an alteration for the Dublin Marathon which will be our first ever. I’ve broken the training plan down into three phases. Unfortunately I had a niggling knee issue that had been bothering me before the 10k but flared up more in the first training week. Initially I didn’t feel any discomfort or pain when running but it was sore and tight afterwards. This ‘knee’ problem turned out to be quite the issue and was actually caused by muscles in my quad that were in desperate need of attention. I started regular physio and although I continued training I also continued to have issues resulting in missed runs and LOTS of frustration! 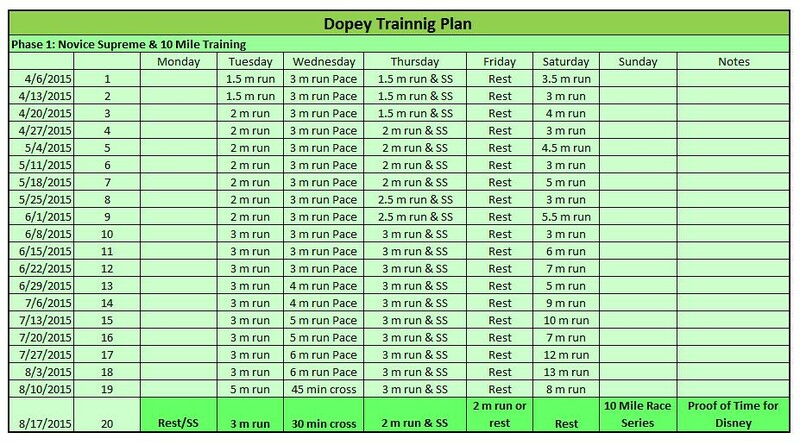 My only time goal for Dopey is to finishing (insuring I meet the pacing required of 16-minute per mile), my aim is to build up the endurance needed to finish Dopey. Training plan looks great – will be following along! Good luck!